With Heaven Martial City in front of him, he could see the towering divine tree. The gigantic tree’s trunk was as thick as a mountain, and on its branches, there were vines that wound around mountains in all directions. No one knew how many tens of thousands of years these vines had existed. Despite the elements, they remained as strong as ever, not rotting one bit. On the gigantic tree, there was a vast expanse of flat land with numerous pavilions on it. The streets were filled with people, and the crowd was bustling. The moment Yi Yun arrived to the entrance, the guards demanded and entry tax from him. A low-ranked relic was nothing to Yi Yun. But if it were warriors from some desolate land, a relic was enough to transform their bodies fully and change their fate. After all, back then, Lian Chengyu went through a great deal just to obtain a piece of desolate bone. And despite the cost of sacrificing the lives of many of his tribesmen, the quality of the desolate bone relic he obtained from refining the desolate bone through backward methods was not even comparable to a low-ranked desolate bone relic. To receive one relic per person, with a countless number of people entering each day, the amount of wealth obtained over thousands of years was very substantial. And Heaven Martial City was controlled by the Martial Alliance, so this wealth also flowed into the Martial Alliance. One could imagine that over these years, the foundation which the Martial Alliance had built up was immeasurable. Not only that, the road-side stalls and shops in Heaven Martial City were all taxed. There were auction houses established here which similarly charged a fee. And the biggest trade center, the Treasure House, was directly set up by the Martial Alliance. In the Treasure House, there were large amounts of heavenly treasures sold. Their prices were 20-30% higher than the normal trade value in the market. But even so, there were still large numbers of warriors who traveled from all corners of the Tian Yuan world to buy the items they needed from the Treasure House. Firstly, it was because the Treasure House had a full range of items. Many of the items were priced so high that there was no market, but they could be found in the Treasure House. Secondly, the Treasure House was reputable and the items were guaranteed to be genuine, so there was no fear of being cheated. As a result, people were willing to spend a bit more. Yi Yun turned around and saw a guard stopping three people at another entrance fee collection point. They consisted of; a youth dressed in animal skin, a young man in his twenties and a 16 or 17 year old blossoming girl. The exclamation came from the girl. “We are a group of three, doesn’t that mean we need to pay three relics?” The girl amongst the three was embarra.s.sed. She was dressed in cyan-colored clothes and she had a floral scarf over her head. She exuded a rural village girl’s delicate charm, but from her shabby appearance, she looked slightly haggard. From their shabby dressing or their manner of speech, it was easy to tell that these three people did not come from a large faction. The elites of large factions were always adorned with one or two treasures, and they wore nice clothes. Those who wore the clothes of mortals most likely came from unimportant backgrounds. The Heaven Martial City guard glanced at the three people in disdain. By collecting relics here every day, he had seen warriors from all over the Tian Yuan world, so he was impatient with warriors who dragged their feet by being unwilling to pay. “Ah Yu, hurry up and pay the relic.” The youth urged the girl. The girl gritted her teeth as she tightly clenched the cyan-clothed bag hanging on her body. This girl did not even have an interspatial ring. A bag that mortals used was not only inconvenient to carry around, its capacity was not large. It was imaginable how tiring it was to carry these things while traveling long distances. “Elder sis&h.e.l.lip; ” The youth dressed in animal skin tugged at the girl. The youth was not very tall. His skin was dark, and his facial features looked average. The youth, who was addressed as Ah Niu, knew that the girl was putting a front to put him at ease. He bit his lips and did not say a word. However, one could see the stubbornness in his eyes. He knew very clearly that his elder sister had put in a lot of effort into this trip to Heaven Martial City. And these relics were a large amount of the family clan’s fortune. It could be said they were staking it all on him! “So it’s a brother-sister duo&h.e.l.lip; ” Yi Yun sighed lightly. As he looked at the girl’s expression, his mind could not help but recall his time back in the Cloud Wilderness, especially the humiliated expression of Jiang Xiaorou when she pleaded to obtain food for him. That girl had sacrificed a lot for her younger brother, and this made Yi Yun miss his own elder sister, Jiang Xiaorou. “Let me pay your city entrance fee.” Yi Yun suddenly said. Yi Yun would not bother about strangers. Everyone had their own difficulties, and with the world so big, he could not care about everyone. However, Yi Yun was filled with emotions when he saw this sister-brother pair. Before the youth finished his words, he was interrupted by the girl. “That&h.e.l.lip; Thank you to the generous sir, but we can’t accept your relics.” The girl answered very seriously. Beside her, the youth in animal skin also blinked with his dark but bright eyes. Clearly, he endorsed the actions of his elder sister. To not receive generosity that came out of nowhere was not a matter of face, but one of human principle. This was what their deceased parents taught them. Yi Yun was stunned for a moment. He was quite surprised by the siblings, but as a result, he had a favorable impression of them. He nonchalantly said that before keeping the relics. He believed that even if the youth did not soar in the future, it was likely he would amount to something. Suffering a bit now was nothing! “This&h.e.l.lip; Erh&h.e.l.lip; ” The youth in his twenties, that had accompanied the siblings, wanted to stop him, but he was too late. He was naturally upset and he was naturally grumbling about the foolishness of the siblings in his heart. At this moment, the girl had taken out two low-ranked relics from her cloth bag. These two low-ranked relics looked to be polished clean, but their quality was the lowest of the low. It was probably refined by a rookie Desolate Heaven apprentice. The guard looked at such relics in disdain, but he patiently accepted it. Following that, the guard looked towards the youth in his twenties. His meaning was very clear. The siblings might have rejected it, but he did not, so he could still be helped. Yi Yun did not have any good impression towards this youth. Although a relic was worth nothing to him, he would not give it to such a person. Yi Yun entered the city directly, leaving the youth standing there, stunned. Yi Yun let out a light sigh and stopped watching them. The world was filled with anguish. Everyone ate the same five grains and expirated the same Heaven Earth Yuan Qi, however, everyone’s character was different. This matter that Yi Yun encountered was just a trifling matter on his martial path, but it made him reflect. Other than reclusive training, endless killing and exploring mystic realms, warriors also needed to have some ordinary reflection. By seeing human suffering, birth, death, illness and old age, and even experiencing the great sorrows and joys in life, was a part of martial arts. Using a sword, one could form one’s “Heart of the Sword”, while those who used sabers, could gain insight into saber intent. For instance, the Azure Yang Lord’s sword Dao was a result of merging the ups and downs of his life’s joys and sorrows. And all of that was what Yi Yun lacked. His previous life was mediocre and unexciting, but after his reincarnation, he had experienced the poverty of the Cloud Wilderness. And he had experienced the life and death setback at the Tai Ah Divine Kingdom. However, that was not enough. He needed even more experience, a longer life filled with even more sorrow and happiness. 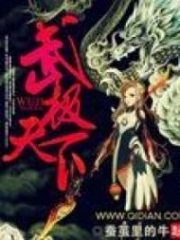 You're Read True Martial World Chapter 582 - Entering the City online at NovelOnlineFull.com. You can use the follow function to bookmark your favorite novel ( Only for registered users ). If you find any errors ( can't read,broken links, can't load photos, etc.. ), Please let us know so we can fix it as soon as possible. And when you start a conversation or debate about a certain topic with other people, please do not offend them just because you don't like their opinions. You're reading True Martial World. This manga has been translated by Updating. Author(s): Cocooned Cow,蚕茧里的牛. Already has 8121 views. Current Time is 21-Apr-2019 02:41:20 AM.